Eurobodalla’s water restrictions have been lifted. The water level in Deep Creek Dam is back over 90 per cent. Photo: ESC. Water restrictions in the Eurobodalla have been lifted. Mayor Liz Innes has thanked residents and visitors for their assistance over the last four months in securing the shire’s water supply. “The community has been fantastic since restrictions were introduced in October. Combined with average rainfall since November, water storage at Deep Creek Dam is back over 90 per cent,” she says. Cover swimming pools and external spas when not in use. When asked by Region Media, why not keep the formal water restrictions in place? A Council spokesperson said it was policy to lift them at this point in time. “Eurobodalla water restrictions are determined by Council’s Water Restrictions Policy, and its associated plans, guided by the NSW Government,” the spokesperson says. “The level of water stored in Deep Creek Dam, and river flows, trigger various levels of water restrictions. For example, level 1 water restrictions are triggered when the dam reaches 80 per cent capacity. The spokesperson stressed the importance of the permanent water-conservation measures and the communities support of the measures in the past. “Since introducing these water conservation measures in 2007, Eurobodalla’s water consumption has been significantly reduced on a long-term basis,” the spokesperson says. Although the lifting of water restrictions is good news for the Eurobodalla, Cr Innes wants residents to spare a thought for the many communities in areas of NSW that continue to be severely impacted by drought. “I’m calling on the NSW and Australian Governments to help these communities during this difficult time; they need to get out and meet people affected and see the challenges firsthand,” Cr Innes says. 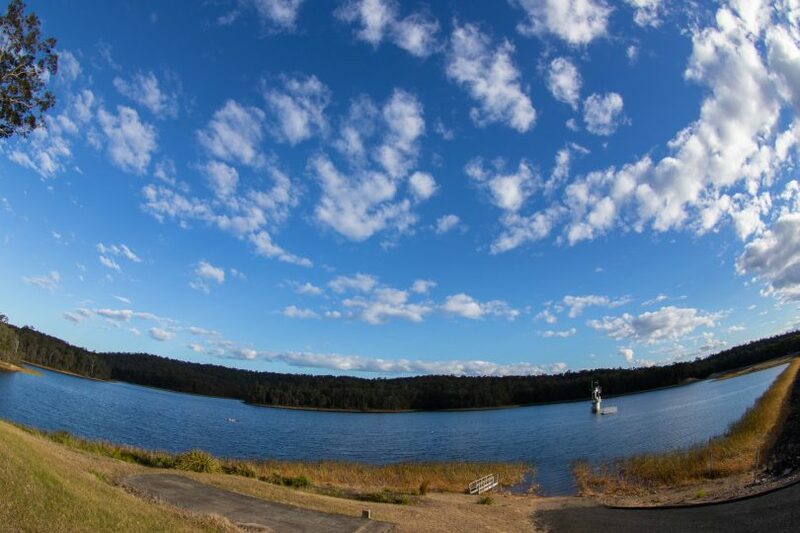 Council continues to seek funding for its proposed southern dam near Bodalla, which it hopes will secure the Eurobodalla’s water supply long term. More information on the shire’s permanent water conservation measures can be found on Council’s website. If Mayor Innes is so concerned about securing the shire’s water supply, then maybe she needs to reconsider her absolute driving support for the rural lands strategy proposal. As usual these concerns were not accepted by council and the concerns from subject-matter experts were dismissed in favour of personal preferred preferences and dogged determination of those implementing the strategy who do not have the subject-matter expertise.